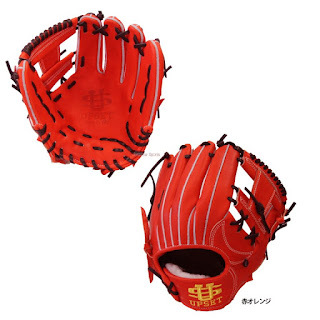 Baseball Equipment online shop "Swallow Sports staff Blog": UPSET glove released ! Noticed manufacturer UP SET gloves arrived, we will inform you. It becomes a model for second short. It is a model to firmly grasp the ball. 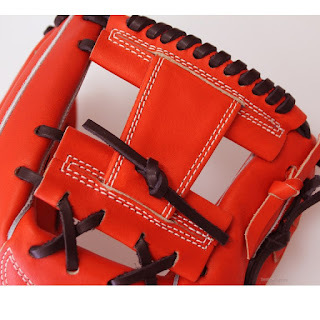 Combination of red orange body color and black string. The web has popular HH web. Chiba Lotte Marines' Kiyota players. We will soon release for pitcher and outfielder soon, so do not miss it ! Other recommended glove are here ! Tigers Akiyama pitcher favorite Wilson's glove! Introduction of BEN GENERAL hardwood wooden bat! Sato Glove studio particular about glove!